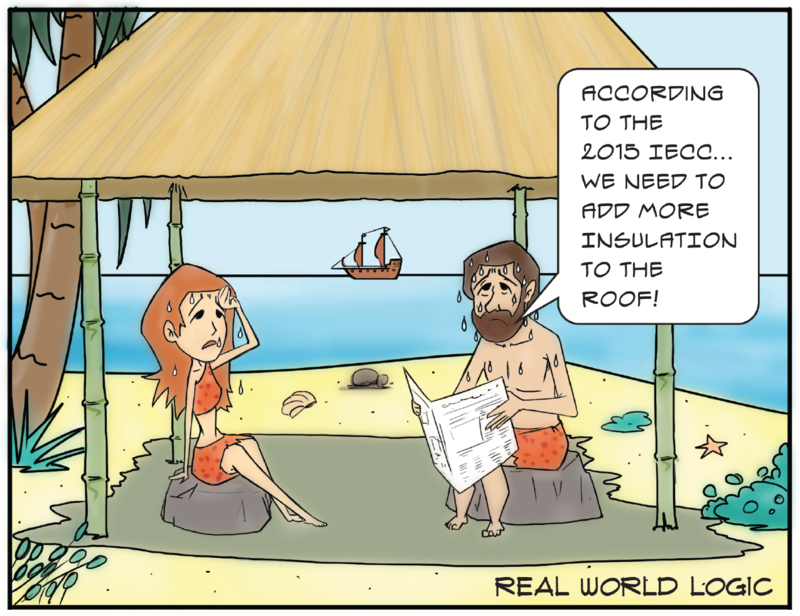 Omniblock > Energy Efficiency > More Insulation in the Roof? More Insulation in the Roof? There are short-cuts or some would say “loopholes” in the IECC for architects and designers to use in order to meet the minimums set forth for the thermal envelope. Does this strategy follow “best practices” within our industry? Maybe logic should be used rather than finding a loophole in the code. The cartoon above provides a humorous slant on a clear misuse of a code loophole.